When I woke up, I puffed up my cheeks; I was as red as a tomato. I scrambled out of bed, and put my clothes on for school. At school, my friends looked at me hopelessly and said,"Did you forget to brush your hair?" I replied, "Yes, do you have any problem with that?" "Yes", they said wickedly. "Deal with it, then!" I ran to the bathroom and looked at myself in the mirror, I noticed that I had forgotten to brush my hair for the 100th time! 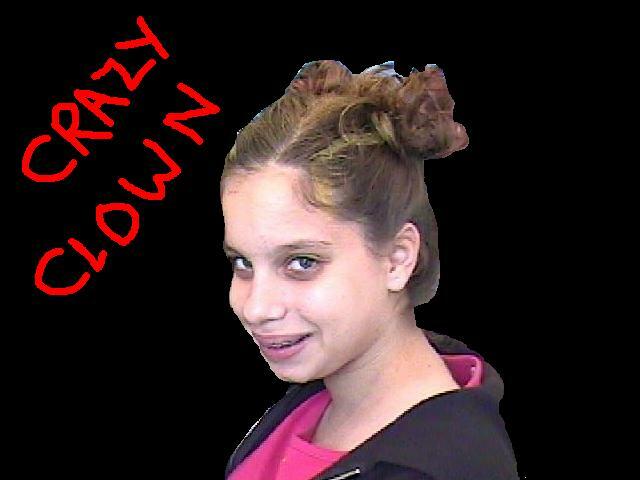 I looked like a crazy clown!!! I started crying and tears were pouring on my face, as if I were taking a shower. So, I rushed back home and brushed my hair, then returned to school. When I arrived at school, my friends tried to talk to me as if nothing had happened. I refused to reply or stay friends with them: they had treated me badly just because of my hair! I went to them and said, "If you were really my friends, you wouldn't make fun of me just because my hair looked crazy. You shouldn' t stop being someone's friend just because of their appearance; you should always look at the inside of a person, not the outside." Then they just ran away and I never saw their faces anymore. So, I went on with my life and never talked to or saw those girls again.